Lizard and Shark. Fun faces! Beautiful professional quality designs created by us, or we can create something special by request. Full or half face designs. 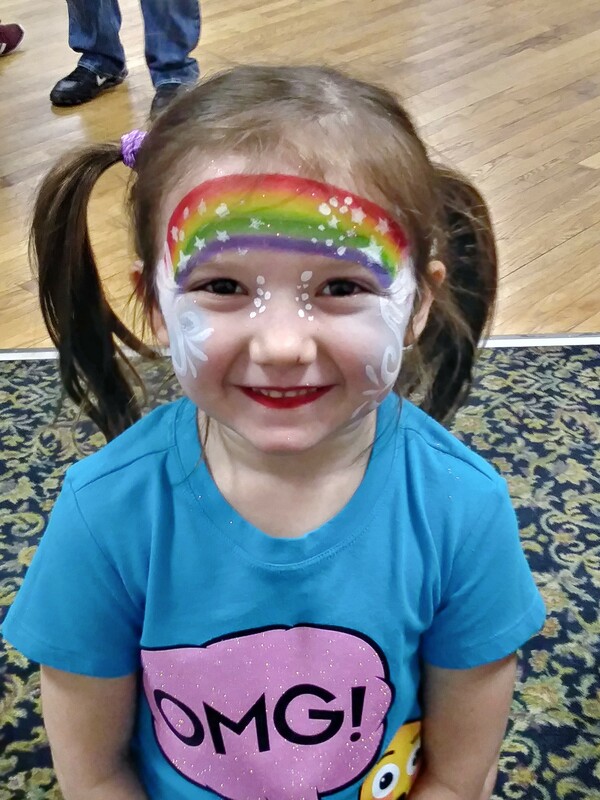 We use all professional high quality face paints that are FDA compliant. Henna designs created by us or by you. All henna paste is made by us and from only all natural ingredients and essential oils. Wedding Mehndi or just for personal use is available. Beautiful designs done all free hand. 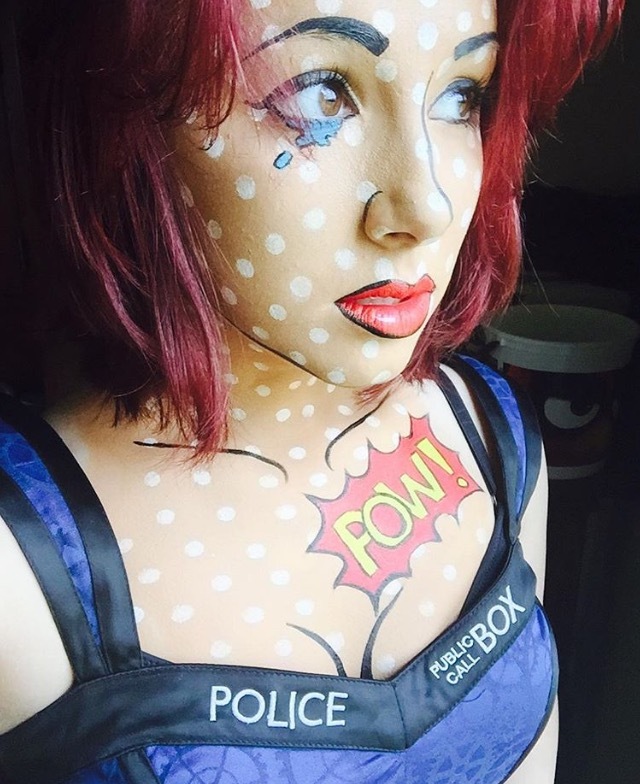 Body painting & Pregnant Belly Painting: Includes full faces, arms, backs, bellies or full bodies (discretion is used). Both the henna and face painting looked great. The kids loved it! We had poor communication from the start. I booked Forte through this site which includes all of the information for our show. After booking (way in advance), I waited a bit and tried to reach out through Instagram to make sure we were all set. No luck, so I went to Facebook where the response was along the lines of “what show is this for? I don’t believe you sent me all the information” to which I asked what information was needed. No response. Waited till closer to the show and asked again and we cleared this up and sounded like it would go well. She stated she had a canopy and we would provide a table. When she showed, she asked if we had a sign that said free henna and seemed highly disappointed when I said no. We ran around finding a piece of paper to write it on. I believe all she brought was a table cloth and the henna paint obviously. Then at 2:00 left without a word. I’m not sure where we went wrong. I was a vendor too so it was hard for me to get a full review from the booth, but I’m highly disappointed that we paid $161 and they didn’t provide booth preparation (other than our promised table). Our other vendors (that pay for their spot) are expected to create an inviting booth space and advertisement. We did our part in sharing their Facebook and Instagram all over our social media multiple times. I don’t believe we had too many people getting henna that day which was disappointing on both parties I’m sure, but you’re paid for in advance so even if no one shows you’re still being paid $161 to do nothing! Had she came with a more prepared booth with their own signs/canopy/marketing, it would have been worth both of our time. Sadly won’t hire again. We contacted other vendors at the same price that were unfortunately booked. My positive note is that the henna work was good! I had a few friends get some really neat designs that were well done. Just wish we had a more professional booth space and attitude from the vendor. Wow! That was completely unexpected! I replied to every message you sent me and in a very timely manner. When you are offering free henna or anything for free, I feel it’s your job to have a prepared sign of your own for YOUR customers. You told me I was the entertainment. No one even introduced themselves as the one who booked me! When I left, I did talk to the First Lady I met that talked to me several times throughout the day, thanked her and had to be on my way as I had another gig 2 hours away, so time was tight. Everyone was very happy with what I presented, and the fact that you put me outside in the shade, didn’t warrant a tent. Why would I lug my huge tent through the building to the other side just so I could be like all the others and fit your esthetic? I’m sorry if you were so dissatisfied, but I didn’t have any complaints other than you and you never said one word to me all day. As for my attitude? Really? I don’t get attitudes especially when I’m working so I think you need to check over the day again and conclude that maybe it was just a bad day for you perhaps. I apologize that you were so disappointed. I don’t know what you mean by marketing??? You told me I was the entertainment for the day, so I only put out business cards. What more did you want? And yes I did a lot of henna designs and kept busy most of the 2 hours. And the reason I only communicate through Gig Salad is for this very reason. So that all communication is only sent through gig salad. If you try to communicate with me on other social media I won’t know every detail of your event. It’s on gig salad for a reason. Forte was awesome! Very professional. A huge hit at this benefit. Definitely will refer to friends! So glad I could fill in on such short notice!! I had a great time. Darlene did a fantastic job on my pregnancy belly painting. It was a special way to celebrate my pregnancy. She created a special design based on my suggestions and tastes- I received a lot of compliments on it! Thank you Tina, I really enjoyed our time together! Have a blessed birth! Looking forward to seeing the pictures! 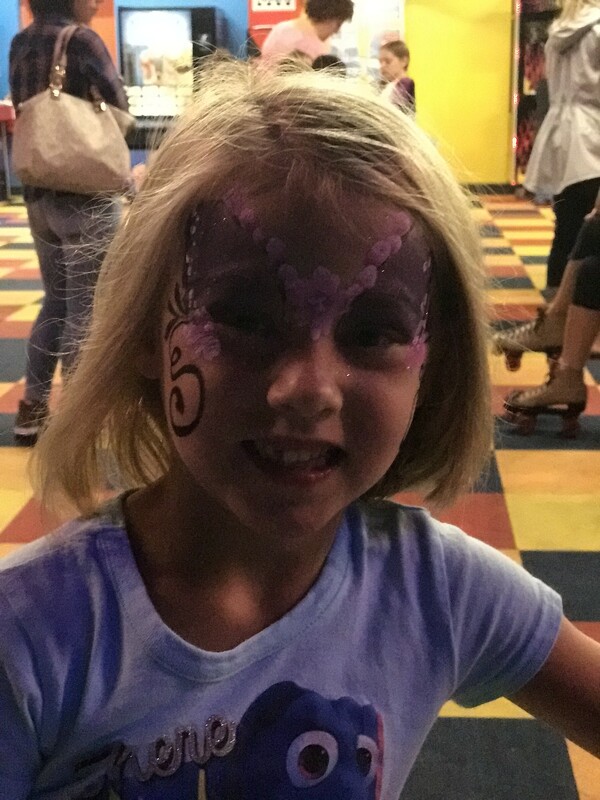 We, and everyone at our party, was immensely impressed with your face painting talents! 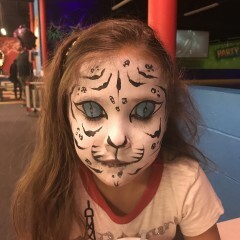 The kids loved it and my daughter said it was one of the most special parts of her party! That says it all! Thank you so much. We will recommend you to all our friends and we will hire you for our next party! 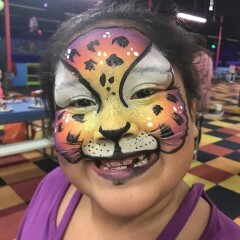 Darlene and Havilynde did an amazing job for my daughter's 7th birthday party! 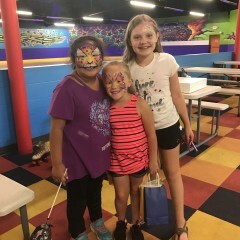 She said it was her favorite birthday EVER and all her friends agreed! 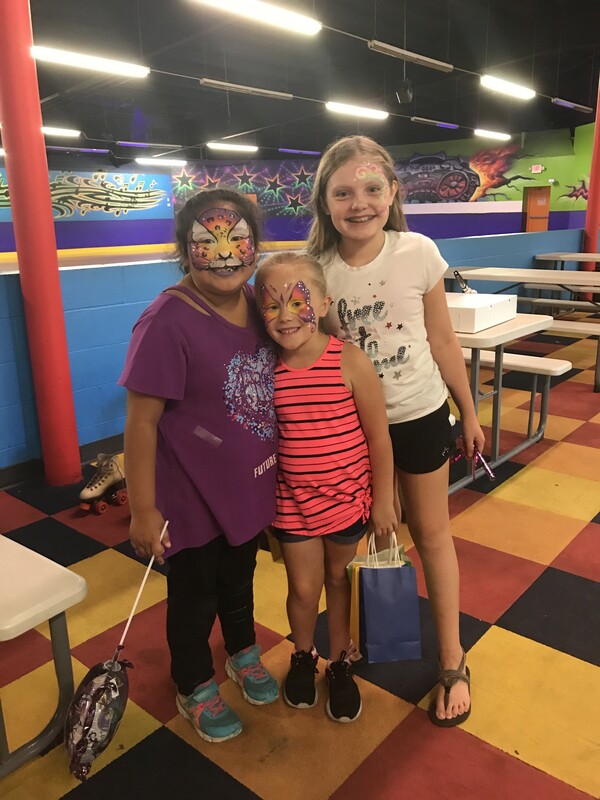 Thank you for making Ameera's birthday special and one we'll all fondly remember for many years to come! Was an added feature to our party that everyone enjoyed! I wanted to thank Darlene and her crew for providing not only beautiful work at BF Goodrich, but also professional behavior from concept to production to follow-up. 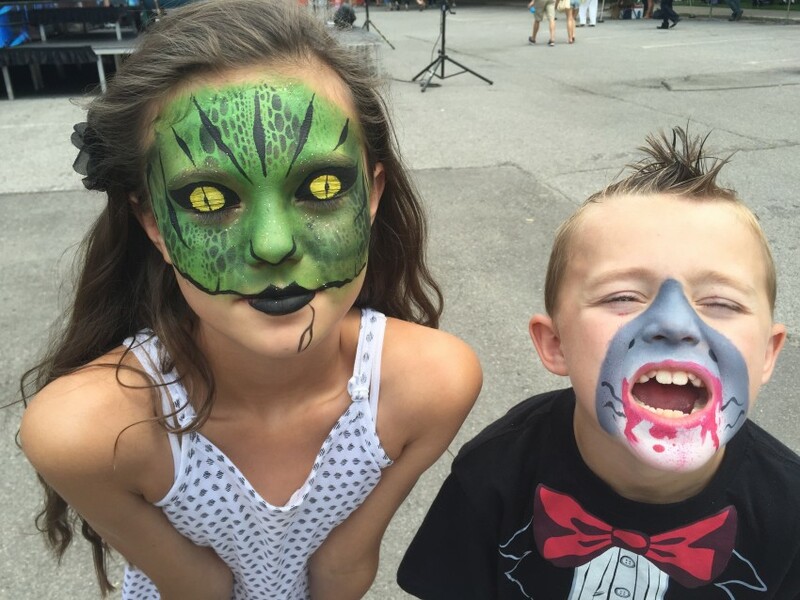 Their face painting was top notch. Thank you!!!! Thank you Anne! We really enjoyed the friendly staff and golf cart ride to our van. It was a beautiful day! Talented face painter, I would defiantly use again! 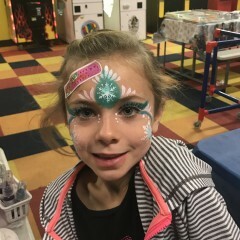 When I told my spouse I hired someone to paint faces for the girls' birthday party I got and eye roll. I think the expectation was a typical heart on the cheek. Facelation blew that expectation out of the water!!!! First she traveled an hour both ways, stayed for two and a half hours. The options seemed endless. 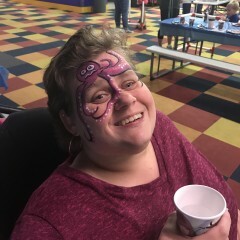 The paints were full face too an intricate dragon fly my conservative grandmother got. The colors were vibrant and her attention to detail was spot on! After all the kids were done the adults jumped in because it was too irresistible. In the end the "eye roll" was followed up with "wow! Did you see that's". Thank you for a great day!! So enjoyed the party and all the willing participants! 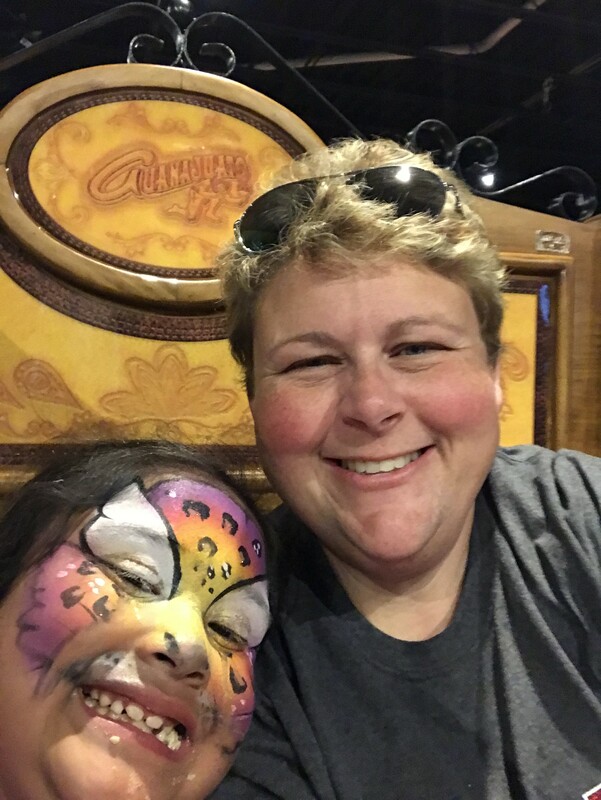 Facelation did an awesome job! Darlene and her daughter are amazingly talented and super easy to work with. We will definitely keep Facelation in mind for future events! Facelation did an amazing job - painting approx. 26 faces! Great job! 26 faces painted in approx. 1 1/2 hrs. 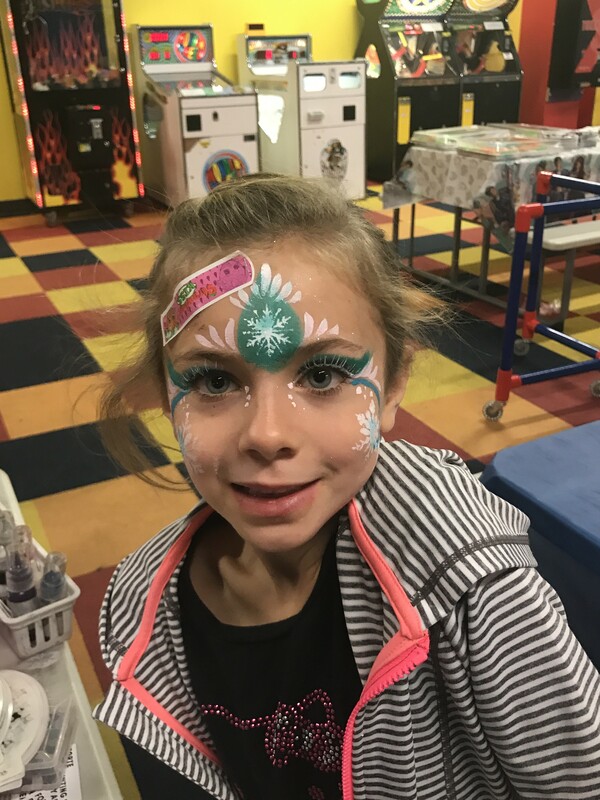 I would highly recommend Facelation for any event you are having - whether it be for kids or adults! 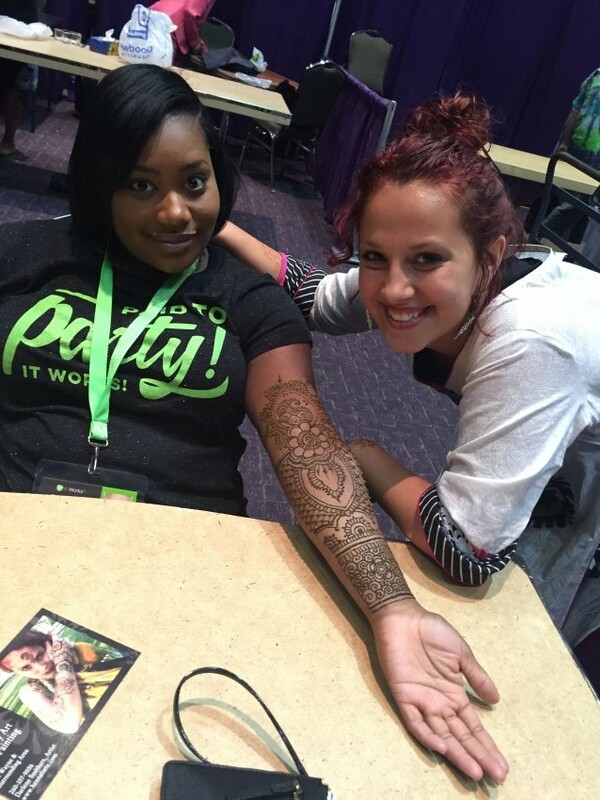 Everyone loved the henna tattoo artist, we had a great turnout and everyone loved all of the designs they could choose from. 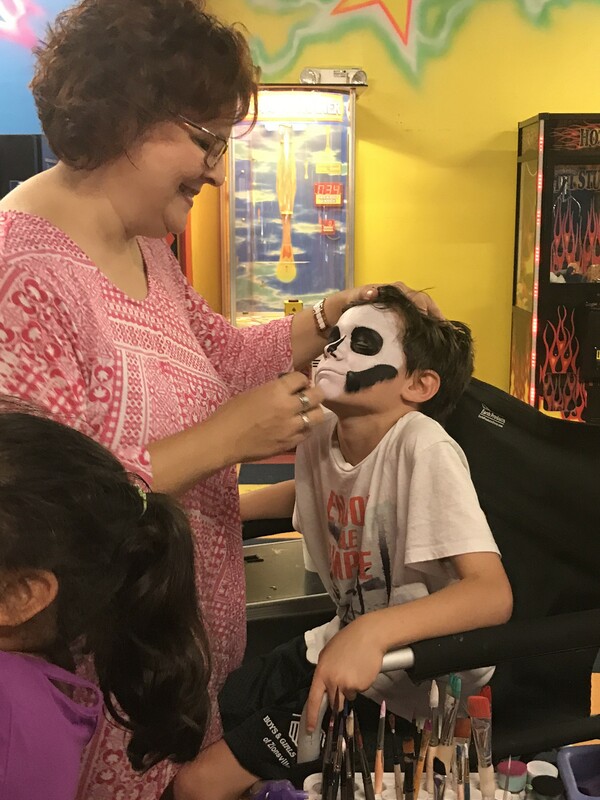 Darlene and her daughter did a fabulous job =) The employees and their families loved having their faces painted. It was the hit of the party. I recommend them to everyone planning a family friendly event. 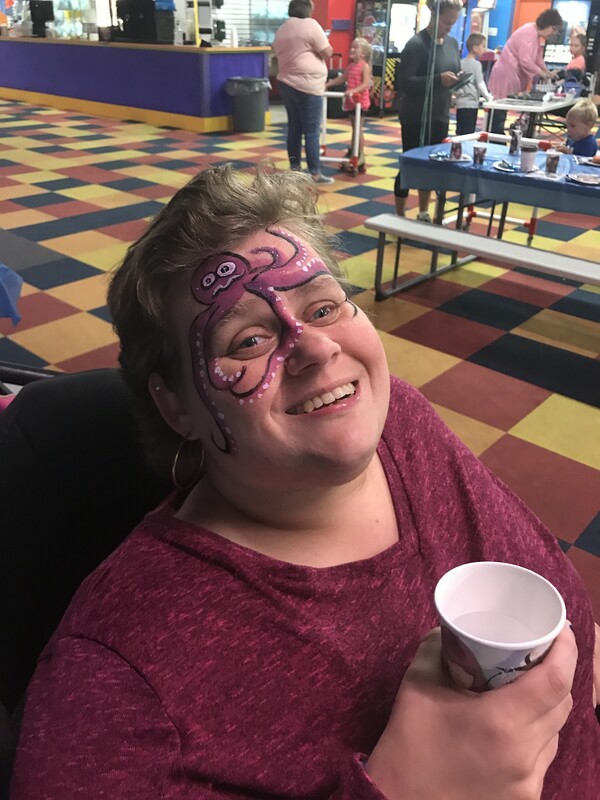 We LOVE to have fun at the parties we paint at! Additional services are available, such as balloon twisting and Jitterbug the Clown! 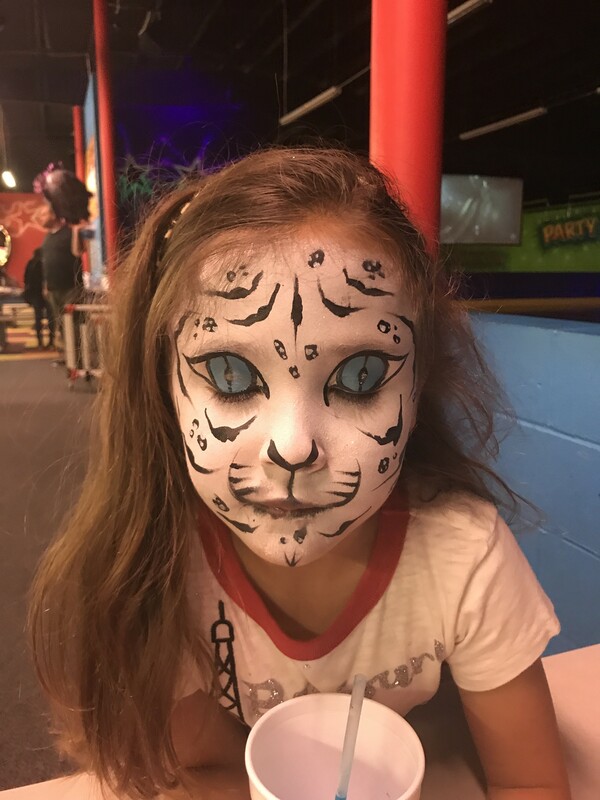 Adults and children alike enjoy the extreme high quality of our face painting. 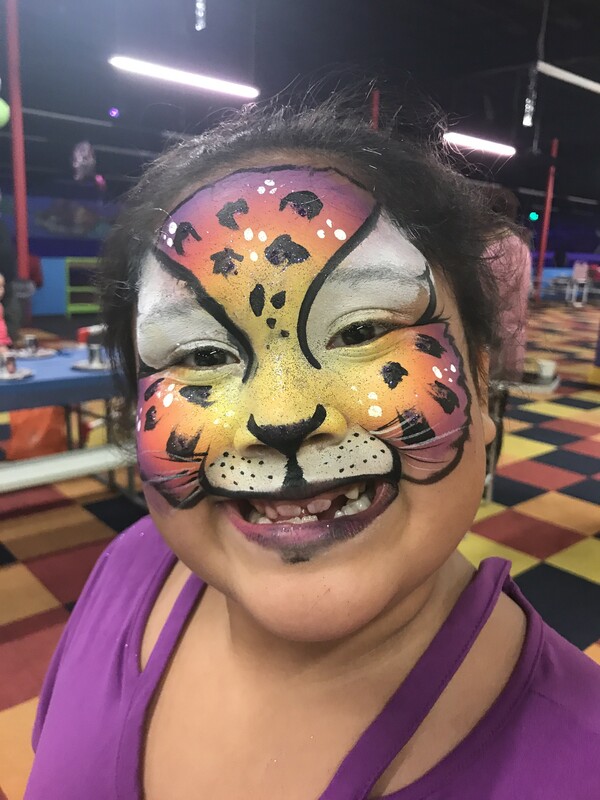 We don't just paint your face, we create a work of art! We take your party or event to the next level with our beautiful artwork. 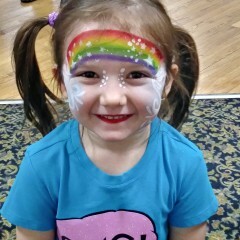 We use all FDA approved professional face paints. 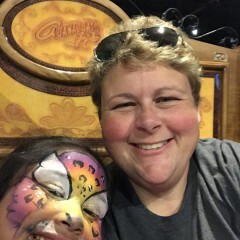 Full service Face/Body Painter and Henna Artist. 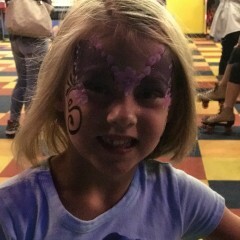 You can expect 8-10 faces painted per hour. 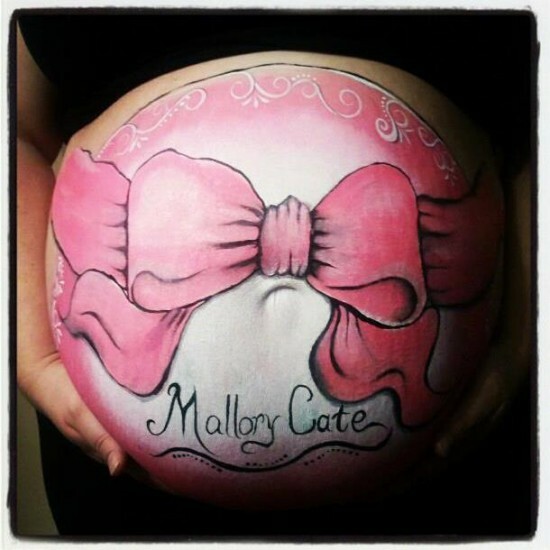 Belly Bump Painting are an average of 2 hours long, depending on the detail and difficulty of the design. Henna generally takes between 10-46 minutes per design, with bridal henna taking from 1-4 hours depending on the extent of the design. 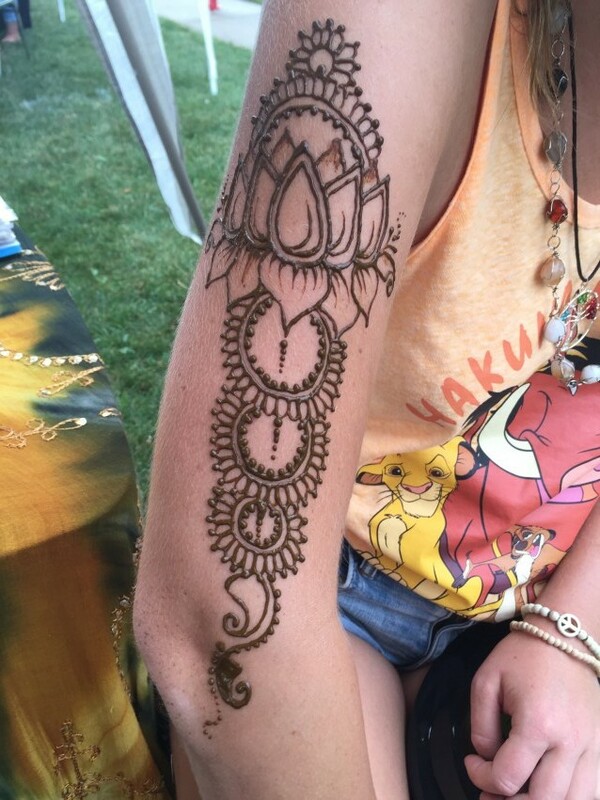 Parties are available for multiple henna designs or body paintings, and commercial and advertising body painting is also available, hourly. 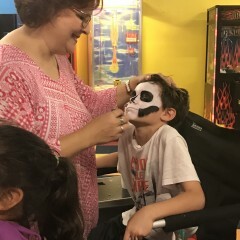 We only use high quality professional face paints. Henna is made by us, for quality assurance, from the best henna available from Pakistan. I bring all my own equipment.